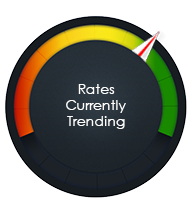 Mortgage rates are moving very slightly lower so far today. The MBS market was unchanged yesterday. This caused rates to move sideways for the day. The rates experienced moderate volatility yesterday. Retail Sales: The May data showed the largest surge in spending in 8-months. The headline reading increased by 0.8% which was double the market expectations of 0.4%. Plus April was revised higher. When strip out autos, retail sales increased by 0.9% vs est of 0.5%. April was also revised higher. Across the board, it looked very good with discretionary spending on the rise. Just about every category showed strong growth except for furniture. Jobs: Continuing claims just fell to a 45 YEAR low, as they dropped to 1.697M. Weekly Jobless Claims hit 218K vs est of 222K. The more closely watched 4-week moving average ticked down slightly to 224,250. Genco Olive Oil: Import Prices shot up by 4.3% on a YOY basis vs est of 3.0%. On a MOM basis, they went up by 0.6% vs est of 0.5%. This is the beginning…Durables were up 1.4% due to iron and steel costs increasing because of tariffs. Aluminum prices went up by 5.1%. Central: The European Central Bank (ECB) kept all of their interest rates unchanged and said they would remain at current levels until the Summer of 2019. And as previously leaked, they announced that they would end their QE program by December 2018. They will keep the 30B Euro purchase pace until the end of the Summer of 2018. They will drop it by 15B Euros until December and then it will end. However, it will not end if they deem the data supports continuing it (nice out clause). They lowered their GDP forecast from 2.4% down to 2.1% for 2018. They left 2019 and 2020 unchanged at 1.9% and 1.7%. They raised their inflation forecast from 1.4% to 1.4% for 2018 and then magically they predict it will remain stuck at 1.7% until 2020 – amazing. Mortgage rates are ticking very slightly lower so far this morning. The retail sales numbers were outstanding as were the jobs numbers. Normally this would cause volatility and push rates higher. However, we have some good resistance here that is helping, for now, keep rates inline.